As the Government moves to close down the Rapid Response water distribution unit of the Ministry of Water & Housing, it has been announced that the workers will seek to purchase the assets, comprising mainly water trucks, through an Employees Share Ownership Plan (ESOP). The Michael Manley administration of the ‘70s made a lot of noise about “worker participation” but did precious little to give workers a stake in the businesses in which they worked. Manley realised this major failure of his administration and set up a consulting firm, Manley & Manley, to attempt to do something about this while he was in opposition during the ‘80s. When he returned to power, he introduced the ESOP legislation to facilitate this. But still, later administrations and the Trade Union movement have failed to aggressively pursue this agenda which could bring about a revolutionising of relations of production between workers and management and give more Black Jamaicans a sizeable piece of the rock. The reasons for the failure to take up the ESOP option are said to be that the ESOP Act is too difficult for laymen to understand and that expenses associated with preparing a business plan and hiring an independent Auditor are prohibitive. But the same could be said of the Cooperative Societies’ Act, yet these “obstacles” have been overcome, mainly with the establishment of a Cooperative Department to simplify the rules and regulations, prepare Model Rules for the management of co-ops., and provide assistance with Auditors at affordable rates. The ESOP Unit in the Ministry of Labour, which could provide this same function, has been closed. It is left to the Commissioner of Audit & Assessment to administer the scheme through giving the tax breaks allowed by the ESOP Act. Now, why should the Income Tax Department be interested in foregoing revenue? The closing of the ESOP Unit, therefore, might be a blessing in disguise, as we would be able to avoid unnecessary Government regulation of ESOP schemes and further bureaucracy. 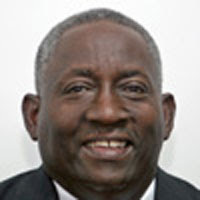 It presents a golden opportunity for the union movement, united within the Jamaica Confederation of Trade Unions (JCTU) to take charge of the development of a strong Third Sector within the Jamaican economy to compete with the Corporate Clientilist Sector and its facilitator, the ever-dwindling but still powerful State Sector, thanks to its power to legislate. All eyes will be focused on the Rapid Response water-men and their union, the NWU. Black Jamaica is relying on you to make a success of this social experiment. This ESOP must not be allowed to suffer the fate of other People Sector businesses that have been hijacked and have come to form the personal empires of its former executives – like the Building Societies, Jamaica Producers (formerly Jamaica Banana Producers’ Co-op. ), the National Commercial Bank (NCB) and Workers’ Bank. This means that the management of the ESOP should not be left to the trustees to run the business through giving lucrative management contracts to favoured professionals. An Educational Programme needs to be initiated to impart the principles of participatory management to the workers, such as is done in the Labour-Managed Firms of Northern European countries. Workers must participate in every aspect of management, including the development of the Business Plan, the Memorandum of Association which governs the running of the business, and the system of labour payment, performance incentives and distribution of profit. If the Union is slow to set up this educational and participatory system, persons with the requisite skills who are interested in the development of the People Sector should offer their services to the pioneering workers of the Rapid Response Unit and their Union. We can make this a new beginning for workers! BlackJamaica People's Forum is a forum for groundings amongst Black Jamaica activists, where collective decisions can be made on actions and strategies to further the interests of the Jamaican People. A topic is accepted each month as the main discussion forum for action. Interested pardners, bredren and sistren are invited to suggest forum topics, comment on posts and submit articles, pictures, videos and links on subjects such as important policy issues, Black Studies, sports, culture & entertainment and Black Business, as well as notices of upcoming events. These will all be subject to editing before posting, however, and certain advertisements might incur a cost. Voluntary contributions are welcome to support the work of the editorial team. Rebel Music Super-Clash or Devil Music?